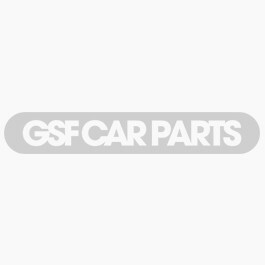 GSF Car Parts are one of the leading independent car parts suppliers in the UK and Ireland with over 70 branches. Due to our market presence we can supply top quality parts at the best possible prices. We advertise that we supply “discounted/cheap car parts” because this is what the consumer often searches for online. But let us be clear that discounted/cheap car parts to us means the lowest possible price to you the end user without compromising on quality. We supply original equipment, genuine and aftermarket qualities. Our parts are sourced from Original Equipment manufacturers who supply parts for the original vehicle when built, as well as vehicle manufacturers and aftermarket suppliers. Examples of our many suppliers are Mann, LUK, Bosch, Brembo, Jurid, Bosch, INA, Airtex. Take a look at the “Supplier Brands” tab on the top of the homepage. We pride ourselves on giving the consumer choice in the market place. As well as sourcing parts at the best possible price we also offer free “courier” delivery direct to your home when your order exceeds 30Euros including vat. In other words our best price to you is not inflated by high delivery charges. Also a 10% discount can apply for orders over 100Euros.